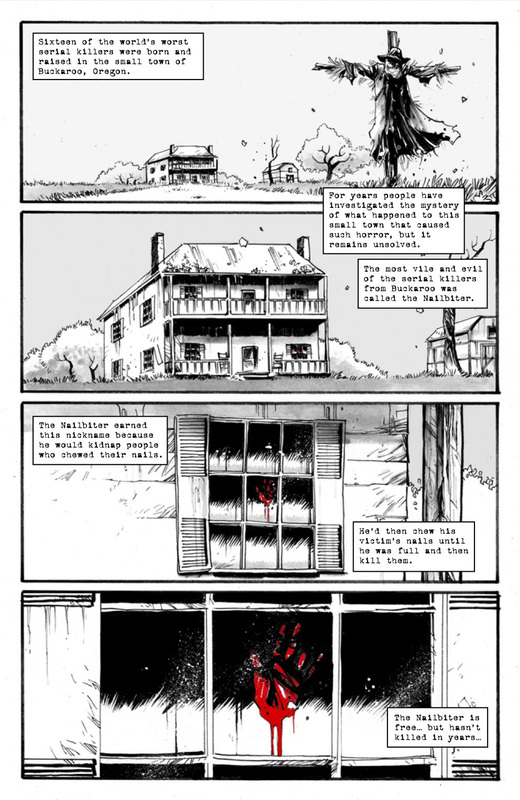 Writer Joshua Williamson (BIRTHRIGHT) and artist Mike Henderson (Venom, Carnage) will launch a new story arc in their hit horror series NAILBITER this May. Previously in NAILBITER, NSA agent Nicholas Finch found himself roped into the mystery of Buckaroo, Oregon, where sixteen of the world’s vilest serial killers were spawned—and his life has not gotten any simpler since. A new serial killer appeared, for one; not to mention the commitment of more grisly murders and a major revelation about Alice’s parentage. In NAILBITER #21, Alice now knows that the Nailbiter is her father. Does that mean she will grow up to be a serial killer? "It's awesome that we're starting year three of Nailbiter! The team and I are so thankful to the readers and retailers for keeping us alive and killing for the last two years,” said Williamson. “We've been building to the Bound by Blood story arc since the beginning, slowly revealing the secret relationships between the characters. And now with this story arc we focus on Alice as she learns some dark truths about her past. The only way for her to know everything is if she solves the town's big secret...why does it give birth to so many serial killers? How has it been hidden for so long? Crazy things are going to be revealed in this story arc...and it's going to be very bloody!" "Another year, another arc, another murder spree!” said Henderson. 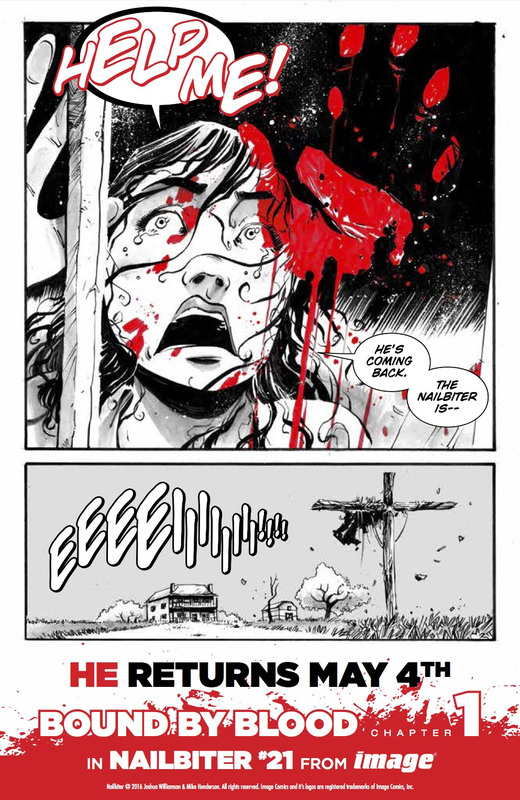 “We can't thank everyone who's kept Nailbiter going strong enough but just to try: Alice takes center stage and learns some new things about her ever-weirder world and the result is some of our darkest and bloodiest yet." NAILBITER #21 (Diamond code: MAR160550) hits stores Wednesday, May 4th. Final order cutoff deadline for retailers is Monday, April 11th.